Join runners, cyclist, fit foodies and the BuHi community at Plaza Fiesta to explore Buford Highway during the Buford Highway International Half-Marathon. Run, roll or stroll up the center lane of Buford Highway, then enjoy savory food samples from 20 top Buford Highway restaurants. The post-race agenda includes raffles for a Big Green Egg from Ace Hardware Toco Hills or a bicycle from Snyder Cycles. 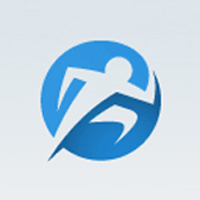 The BuHi Half is a multi-course event, organized by Atlanta fitness event pros IWeLife. Don’t miss the best post race food event of the Atlanta running year. Run or walk a half-marathon course, a 10K, 5K or 2 mile stroll or bike 13 miles followed by authentic cuisine from Pho Bac (Vietnamese), La Mei Zi (Taiwanese and Sichuan), Xela Pan (Guatemalan), Tempoe Doeloe (Indonesian), Las Delicias De La Abuela (Columbian), Hong Kong Bakery (Oriental Bakery Goods), Penang (Malaysian and Thai), and Northern China Eatery (Northern Chinese) with more restaurants to come! After the race head into Plaza Fiesta for shopping and be sure to stop at the popular food court for more great tastes. Local charity partners have teamed with The BuHi Half to raise awareness for their cause and receive a portion of proceeds from the race. Meet our current charity partners: Hope Laugh Play, The Latin American Association, I Will Survive, Inc., Raksha, Inc., Center for Pan Asian Community Services and more to join. Choose your favorite charity to support during registration. Hopefully the issues with the start (no timing mat), starting late, etc… will be resolved next time. Also, the mile markers on the route seemed to be off. Perfect weather.